How Safe is your Dairy Farm? What safety grade would you give your dairy farm? A, C+, D- or somewhere in between? Most likely we all would like to claim an A. In an effort to help farmers get to an A grade, MMPA and UMASH are partnering to promote safety on the dairy farm. A recent webinar hosted by MMPA and presented by UMASH engaged dairy farmers to think about safety in their dairy operation. “How Safe is your Dairy Farm” was held September 25, 2018. Over 65 people attended the webinar or viewed the recording. Jeff Bender presented on the various injuries that can occur on dairy farms and the enormous cost that is incurred. He also discussed the importance of positive animal handling when moving cows. Amy Liebman gave an overview of a successful program that was held in Wisconsin between 2011 – 2016. 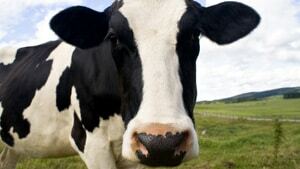 Seguridad en las lecherias: Immigrant Dairy Worker Health was first developed and implemented in Wisconsin, where 67 farms participated and 850 workers were trained. The program has expanded to Minnesota using the same format. Promoting Safety and Worker Health for Immigrant Dairy Workers consists of trainings in Spanish, at no cost, to dairy workers on health and safety issues. The trainings are held during times convenient to the farm operations. Both projects address safety and health issues beyond worker training and include components to engage the veterinarians and to help producers reinforce safety messages and make their farms safer. UMASH looks forward to partnering with MMPA again in the future. 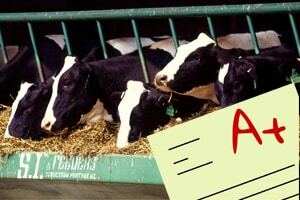 We want all dairy farms to give themselves an “A” grade for safety. UMASH is looking for Minnesota dairy farms who would like to participate in the safety training. Jeff Bender DVM, MS DACVPM is Co-Director of the Upper Midwest Agricultural Safety and Health Center (UMASH) and Professor in the Division of Environmental Health Sciences at the University of Minnesota School of Public Health. Amy K. Liebman MPA, MA is Director of Environmental and Occupational Health with the Migrant Clinicians Network.